How does a THPO or tribal community develop an approach to archaeology and historic preservation that is rooted in the values of their nation and community? 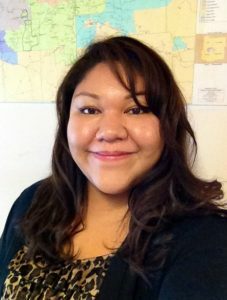 Dr. Ora Marek-Martinez (Navajo Nation, Northern Arizona University) will moderate a discussion with Washington and Oregon Tribal Historic Preservation Offices and Archaeology Departments, discussing the strategies they have used to articulate and implement sovereignty-based approaches to archaeology. Dr. Marek-Martinez will also provide public lecture on her work in Navajo Nation Archaeology Department. For many Native American tribes, archaeology has been a tool used to dismantle and displace tribal narratives of the past. However, with the development of such approaches as Indigenous archaeology and community based participatory approaches, innovative collaborative projects have emerged, which have changed the way tribes view archaeology and how they engage with archaeological practice. This intersectionality with archaeology has created a space that empowers tribal communities to reclaim and recreate tribal narratives of the past and to manage and protect cultural heritage in culturally appropriate ways. My experiences working with Navajo communities have changed my approach and assumptions when engaging with tribal communities in archaeological projects. The successful partnerships and projects that I have undertaken while working for the Navajo Nation have outweighed perceived failures. In the years that I have worked on the Navajo Nation, I have learned several tips that I would like to address that may assist other archaeologists engaging with tribal communities.